Q: Trustlook recently announced a demonstration of its Enhanced Ransomware Security at Black Hat; could you tell us something more? A: Ransomware has been identified as the biggest cyber threat of 2017 by the U.S. Department of Justice, and is expected to cost businesses and individuals millions in the coming years. Trustlook’s SECUREai Core product has a built-in feature that blocks ransomware before files and data are affected. It’s an ideal solution for network appliance makers and cloud service providers. For the Black Hat demo, we showed the flow of how files come into a network, how our ransomware detection engine extracts and analyzes the characteristics of each file, and finally the ransomware probability score that is generated from the analysis. The detection rate is consistently above 99%, with only .6% false positives on average. Q: Can you give us more insights into your products? A: We started as a consumer-facing organization, with apps for mobile security, cleaning cached files and backing up programs for the Android platform. We’re still doing that today and can proudly say we have 76 million users of our applications. Two years ago, we added an Enterprise arm to our operation, with China and the US being our two top target markets. We enable mobile apps and device manufacturers to embed our security engine. For example, Huawei, the #3 device maker in the world, uses Trustlook’s security engine in all their phones distributed in China. We also have security products for network appliance makers and IoT devices. Q: What makes Trustlook a good choice? 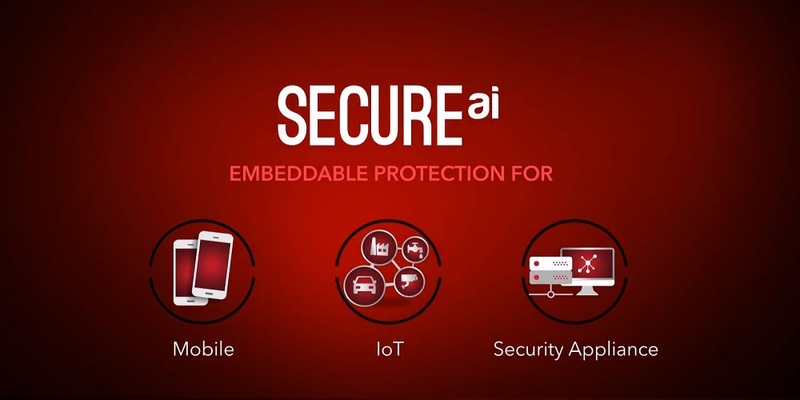 A: At our core, we are a security company who prides itself on improving the technology of our products, which is why we focus extensively on Artificial Intelligence (AI) as the foundation for all our security products. AI is without question the future of cybersecurity. There are too many threats, too many connected devices, and not enough manpower to keep computers safe without using machine learning and artificial intelligence. We use an AI engine to process the data we receive every day and improve upon it. Our AI-security engine can also complement traditional antivirus and firewall technologies still used by many network providers. Today, these legacy systems need to be constantly updated. But with AI, the model continually learns and improves resulting in a high level of accuracy that keeps getting better over time. A: Trustlook is very excited about the direction of our network appliance and IoT security offerings. Network appliances, for instance, have been relying on an outdated security model for many years. They are a perfect candidate for Trustlook’s next generation AI-based security approach. In addition, our IoT security solution is unique, and is in a space that desperately needs to take security seriously. Those will be the main drivers of growth for Trustlook.